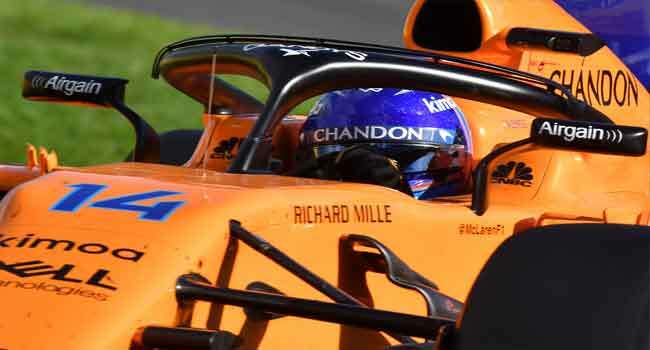 Two-time world champion, Fernando Alonso, praised his McLaren team for finishing among the points in Sunday’s Australian Grand Prix after switching to Renault engines during the off-season. Alonso fought off Red Bull’s young Dutchman Max Verstappen to grab fifth place in the season-opening race, in a sign of improved fortunes for the one-time F1 powerhouse. The British team have endured a miserable run in recent years. But after ditching beleaguered engine partner Honda and teaming up with Renault they are desperate to make a bigger impression in 2018. Alonso, 36, looked certain to leave McLaren last year following a disappointing season but decided to extend his deal after the team terminated their relationship with Honda. “The last couple of years have been difficult, and I think the winter has been difficult as well,” the Spaniard said. Alonso’s teammate Stoffel Vandoorne finished ninth. Alonso said while it was only McLaren’s first race with Renault, there was growing optimism inside the British team. “With some updates to come in the next few races we can start to look ahead a little bit and Red Bull will be the next target,” he said. The Melbourne race was won by Ferrari’s Sebastian Vettel.